My absolute favorite thing about Easter is Cadbury Creme Eggs (especially the Monday after Easter when they go on sale) so I was doubly excited when I saw a new version of the holiday classic at British goods market Myers of Keswick. 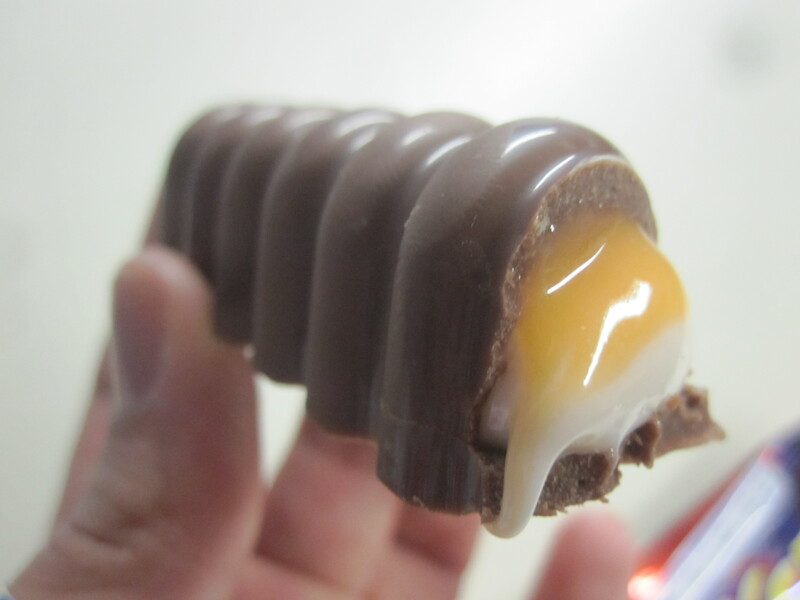 Instead of the traditional egg shape, the Cadbury Creme Egg Twisted is more like a regular candy bar in that it’s long, but instead of being rectangular or segmented, this chocolate goody looks like the twisty shapes I used to make with Play Doh as a kid. Inside though, is the same sticky delicious cream with the yolky yellow still in the middle. Literally a new twist on an old favorite. Thank you British Easter Bunny! This entry was posted in Sweet stuff and tagged Cadbury creme eggs, Easter, Myers of Keswick. Bookmark the permalink.